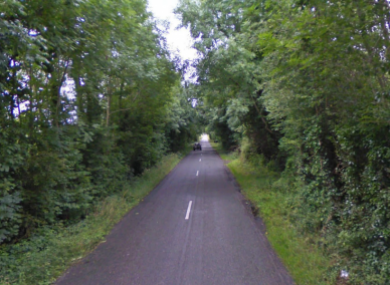 The road between Ferbane and Clonlyon, where the attempted kidnapping took place last week. A MAN IN his 40s has been arrested by gardai in relation to a kidnapping attempt in Offaly just over a week ago. He is being questioned at Tullamore Garda station. A young teenage girl was cycling her bicycle from her home to a friend’s house at Moyclare, on the Clonlyon to Ferbane on the evening of 19 July when a white car-van pulled up beside her. The girl said the male driver tried to get her to speak to him and then tried to pull her into the van. She struggled with the man and managed to escape. She reported to gardai that the car-van had headed towards Ferbane. The man had been described as middle-aged, short in height and with dark hair and glasses. It was reported late last week that gardai were confident of capturing the man behind the attempt. Email “Man arrested over attempted kidnapping of girl”. Feedback on “Man arrested over attempted kidnapping of girl”.